There are four major types of workplace culture: hierarchical, competitive, collaborative and creative cultures. 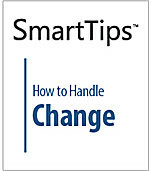 In this SmartTips video, you will learn the differences between them, as well as the benefits and drawbacks of each. 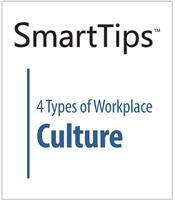 By building a culture of creativity in your workplace, your ensure your company will be competitive. 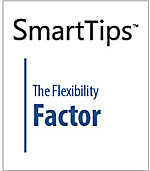 Not just because of the products you're offering today, but because of the products you might be offering tomorrow. 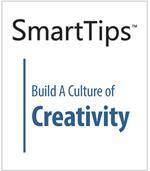 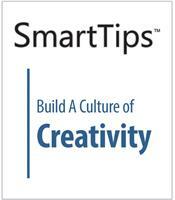 In this SmartTips video, you'll learn how to build a culture of creativity. Successful leadership involves hard work and skill, of course, but it also requires vision and good judgment. 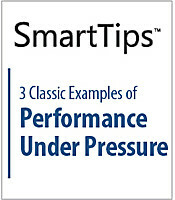 And while there is no perfect recipe for success, considering some of the different roles that leaders assume may help. 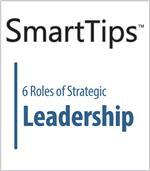 This SmartTips video looks at 6 roles of strategic leadership.